Hosono Haruomi, Takahashi Yukihiro, and Sakamoto Ryuichi’s Yellow Magic Orchestra (YMO) have been one of the few Japanese bands to receive superstar status both in Japan and abroad. Their self-titled debut offered the world a self-Orientalizing synth paradise, something like a high-tech disco upgrade on Chinese restaurant muzak. By 1980’s X∞Multiplies , however, YMO were creating a unique propulsive techno-rock that augured the bright promises of ’80s culture and set the template for every Konami game soundtrack. As I listened to X∞Multiplies recently, one skit struck me as particularly illuminating in regards to Japanese attitudes towards popular culture during the 1980s. So I translated the entire transcript of Track 11, simply entitled “Snakeman Show.” The skit involves a mock radio talk show with three young music critics “arguing” about the state of rock music in the 1980s. The argument is between Critic 1 and Critic 2 , with Critic 3 only droning on about YMO and being ignored. A few notes follow. For reference, an MP3 of the track in question. Radio Announcer: Good evening, everyone. It’s now time for the program “Young Echo.” Tonight we are joined by young music critics, who will give us their opinion on the topic of discussion: the rock scene of the 1980s. Everyone, welcome to the show. Critics: (all) Hello. Thank you for having us. Critic 1: (takes a drag on his cigarette) We’ll start from me. See, for me, I order a lot of records from overseas. So with rock right now — what would you say? — there’s some good stuff but also some bad stuff. Critic 2: I’m a bit different from you on that. I have a lot of musician friends in New York and L.A. who always send me records. And when I listen to those, there’s some good stuff and also some bad stuff. Critic 1: No, but listen, I have a lot of opportunities to go abroad and see concerts. I just got back from going around London and New York. The thing I felt most when I was there is that there’s some good stuff but also some bad stuff. Critic 2: I have a different view on this than you! I understand English. I am always being asked to be on shows overseas, but I have to turn them down. The more I listen the more I see that there’s some good stuff and also some bad stuff. Critic 1: Wait, no, there’s something strange about what you are saying. It’s not like that. You have to understand that I live my life listening to rock eight hours a day. If you did that, you would understand there’s some good stuff but also some bad stuff. Critic 2: No, no. This is not about the amount of time spent listening to music. I own 50,000 records. I own 50,000. My LPs are all rock records. You listen to those and you’ll realize there’s some good stuff and also some bad stuff. Critic 1: You are totally wrong! If we are talking number of records, I own 80,000. All rock. If you listen to all of those, clearly, there’s some good stuff but also some bad stuff. Critic 2: I feel a bit different from you on this. I do interviews over international long distance, and we really talk about rock. If you listen to that you’ll know that there’s some good stuff and also some bad stuff. Critic 1: You are so wrong. What you are saying is so off. Can I explain? In order to understand rock, you can’t remove the fashion. Are you listening? I am wearing silver London boots, right? Look. It’s not a big deal. I own ten pairs of London boots. If you think about rock while living this rock lifestyle, you would say that there’s some good stuff but also some bad stuff. Critic 2: Wait a second there. When foreign artists come over to Japan, I hang out with them. I take them to tempura, shabu shabu. I have to take care of them. And we get a chance to communicate. So with rock, there’s some good stuff and also some bad stuff. Critic 3: If we are talking about fashion, it’s all about the Mao suit. Critic 1: Are you crazy? You are contradicting yourself. You are totally contradicting yourself. I host ten radio shows. I am going to host a rock show on UHF soon. Since I live in that kind of world, I can state clearly that I am the first person to really understand rock. So when you say it like that, I think there’s some good stuff but also some bad stuff. Critic 2: No, no. I see this a bit different than you. I am about to produce a record! What’s more, a New Wave record! If you actually tried to make rock yourself, you would realize that there’s some good stuff and also some bad stuff. Critic 1: (angrily) Listen, buddy! I don’t know anything about New Wave or whatever. But I am here right now as a guy who is trying to figure out whether to take Y.M.O. up on their invitation to play with them at the Budokan. There will be 10,000 people there…. 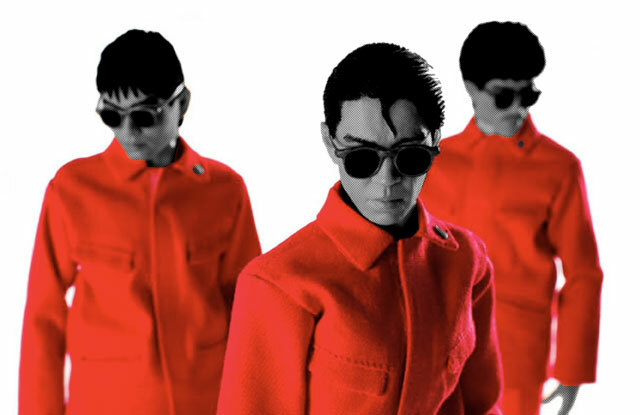 1) The “mao suit” (人民服) is a reference to YMO’s use of the Chinese revolutionary clothing style as a band uniform on their cover of Solid State Survivor and at concerts. 2) At risk of killing the joke in an avalanche of overanalysis, the two critics are essentially saying the exact same thing, other than a small difference in conjunctions (and vs. but). But they are passionately arguing about who has the greatest legitimacy to make such a statement. The interesting part is how they try to build legitimacy. The two techniques are (a) proving the amount of records owned and time spent at the activity, and (b) proving direct interaction with the West. The first method echos my earlier thoughts on the importance of “orthopraxy” in Japan: i.e., legitimacy from actual praxis of an activity rather than a more abstract sense of belief or “spirit.” In the case of the radio show, none of the critics have anything to actually say. There is no “content” in the message — only the meaningless “there is some good stuff and/but some bad stuff.” The entire dialogue consists of attempts to one-up each other in the arena of praxis. Even when Critic 1 tries to talk about living a “rock lifestyle,” he demonstrates this not through an abstract way of life or attitude, but how many “rock” shoes he owns. For method number two of “association with the West,” I find their attitudes to be especially evocative of Japan in the 1980s. For most of the post-war, the entirety of “pop culture” was seen as a “Western” (read: Anglo-American) enterprise. Just as judo and tea ceremony are “Japanese,” rock music was Anglo-American — at least for the first 40 or so years of Japanese popular music. So proving “understanding” of this foreign art requires proof of interaction with the original locus of legitimacy. Although they do use their authority within Japan as a bolster to credibility, the rock critics mainly use connections to overseas: (a) direct importation of foreign records (b) travel abroad (c) fraternization with foreign musicians (d) solicitation fromh the foreign media. By the late 1990s, the Japanese pop culture world had ballooned to an amazing size and had enough local heroes that young bands could find inspiration solely from Japanese talent. Ironically, YMO’s success helped weaken the inferiority complex that drove snobs to always look abroad. YMO and Snakeman Show, however, were of the generation who still saw the ultimate cool as being a link to overseas — or perhaps, they wanted to parody this widely-held attitude as a tired cliché of Japan’s cultural elite. 3) Any reference to UHF dates the material rather nicely. R.E.M. have a cover of Tighten Up out there too. It’s not as good. Recently, I’ve been wondering whether YMO really had “superstar” status overseas, or at least in the UK. The band played summer’s Meltdown festival in London which was curated this year by Massive Attack. It was their first appearance in London since 1980. Against my expectations, and those of journalists who wrote tributes to the band ahead of the event, it didn’t sell out. Looking around at the audience on the night, I was reminded of the old Onion story “37 Record-Store Clerks Feared Dead In Yo La Tengo Concert Disaster”. Talking with friends about the band later, it was clear that many could neither name nor hum a single YMO song unprompted – not even “Computer Games”. However, everyone knew of YMO and was quite prepared to agree that they were an influential group without being able to explain why. If that is true more broadly of their impact on the general public, then it’s worth questioning their real popularity. That’s a good point. I think they probably had a lot of buzz when they toured the US and UK at the time, but were not moving lots of records. But then add Sakamoto Ryuichi’s later stardom and Oscar-winning and they become more “legendary” although no one remember why. This band seems rad. I’ll check them out. In other Japanese-electronic-music-related news, Perfume just keeps getting better and better. You can keep holding Nakata-sama’s shibuya-kei apostasy against him, or you can follow him down to his supergloss keytar pleasure palace. Totally your call, but in this case I see no upside to asceticism. The new Perfume video works really hard so that you never see the girls’ faces for more than a half-second. That’s always a bad sign when it’s an idol group. The music has grown on me, and yeah, it’s about the only tolerable thing out there right now. But they are definitely enthusiastic! And I hear you about Jpop’s generally abysmal status- usually at least Utada can be counted on to release listenable albums, and man, did she ever drop the ball on that last one. I am looking forward to this YMO thing. They look like they could be in the Revolution, and whether or not they actually sound anything like Prince, that’s points with me. I don’t know about the group’s popularity or un-popularity. They didn’t stay long enough (disbanding on my birth year). Maybe they were more of a novelty act than pop sensations. Like a Ling-ling and Yan-yan Panda show. I have been a fan of Ymo ever since I accidentally heard them – last year. Thanks to internets. It doesn’t matter to me about their hotness status. Incidentally in 1980 YMO was engaging in so-called direct interactions with the West through Sakamoto’s collaborations with Japan (the English band). While Gentlemen Take Polaroids tends to disappear up its own orifices more than the albums before and after it, it’s still one of most luxuriantly produced early 80s New Wave albums not produced by Martin Hannett. Compare Takahashi’s singing style to David Sylvian’s. Then compare both to Bryan Ferry. Personally, I would have rather seen a YMO-Giorgio Moroder collaborative album. Or YMO and Magazine or New Order, who seem like the closest Western analogs to YMO. Magazine for the presentation and style of their music (listen to The Correct Use of Soap) and New Order for the similar role they played in introducing formerly experimental electronic music to a mainstream audience with minimal watering down. I always saw Orchestral Manoeuvres in the Dark as the Western equivalent of YMO. The track “Promise” off OMD’s second album could have been straight off “Solid State Survivor” (the main difference is that YMO had much more of a sense of humour and much less of the thundering 80s pomposity). “Dazzle Ships” is still a classic example of a band incorporating avant-garde electronic influences into mainstream pop. The most inspirational thing about YMO is how HUGE they were…those LA concerts were so well recorded and attended. But then again, a lot of unconventional music was popular in the 1980’s. I don’t know why it all had to be pushed underground again. Imagine what all the underground kids could do these days with budgets like that!